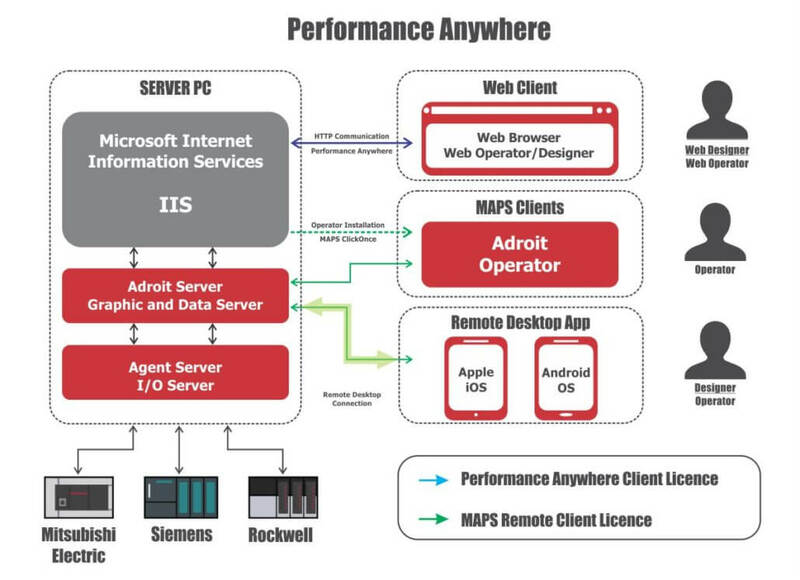 The Performance Anywhere Operator can be added and implemented to any Adroit SCADA system, from version 8.4.2.2. With the new Web-client Dashboard you can take your Adroit SCADA on the move! Adroit’s Web-client Dashboard was designed to allow mobility. It was developed with HTML5 and boasts its responsive design technology, allowing you to access it from a desktop computer, a laptop, a tablet or your smartphone. Adroit Smart UI manages the connection over the internet and allows you to configure a profile that manages the data transferred between client and server. It is customisable and extensible allowing you to build your own interfaces and access data from the Adroit Agent Servers. The poll can be configured to send all value changes between poll intervals or to send only the value at poll interval. Mobility leads to more efficiency. With the Adroit Web-client Dashboard you can have Alarms, Events and Performance of your site wherever you are at any given time. Being able to access your operation while on the move, on site and off, puts you closer to the process. You can monitor the site from any device making it more flexible. This allows for quicker diagnosis of any problems and as such quicker response to clear them. You also have the ability to be on-hand at any difficult areas on the plant in order to experience the issue actively. Once the configuration of the devices are complete on the system and a user profile created, you can build your own Dashboard by using Adroit’s Web Service API which gives secure access to all the function calls available. An added feature of the Web-client Dashboard is that, if the GIS functionality is used within the SCADA it can also be included in the Dashboard with markers and values. 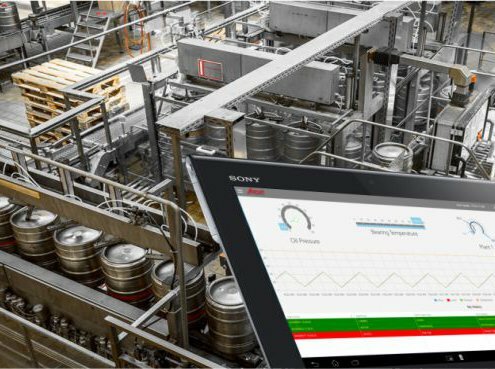 The advantages of the Adroit Web-client Dashboard are numerous, and will contribute to a more efficient and affective site process control system.